What would you like for valentines? Maybe a heartfelt gift and some flowers. What if I told you there is something that could fulfill these two desires at once. A great gift for a loved one this valentines that will definitely know you care for them. The crochet flower bouquet pattern is that something. With it you can bring to life beautiful floral patterns out of yarn. As warm as your creations will be they are bound to melt your lover’s heart. The best part about is that these flowers will never wither, never need water and will be a constant reminder of your love for them. 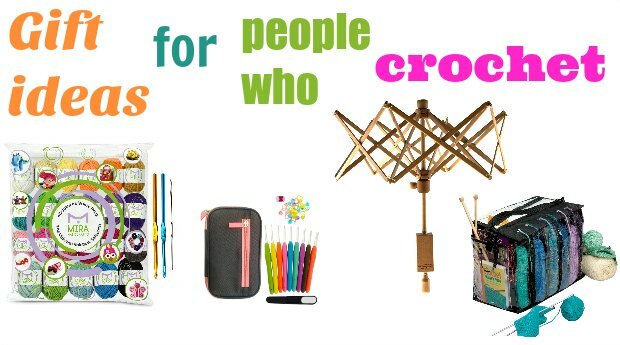 So what exactly do you need for crochet flower bouquet pattern? Light worsted weight yarn approximately 1744 yards of white mix color. Baby light worsted weight yarn, of approximately 437 yards in fuchsia color. Dark red light worsted yarn, approximately 437 yards. This crochet flower bouquet pattern is somewhat technical meant for beginners to intermediate level but if your fingers are nimble enough it’s easy to pick up. 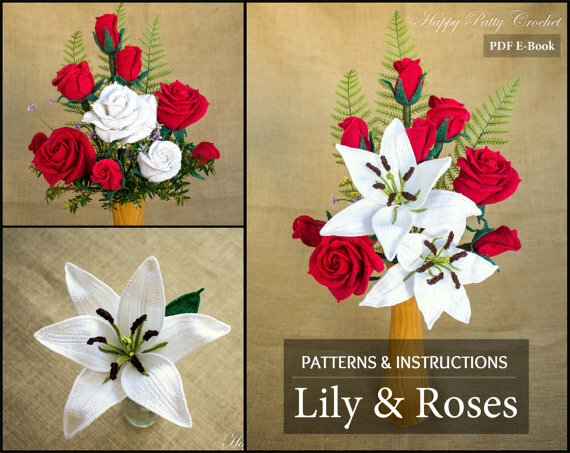 The tutorials will enable you to create four different types of flowers; a lily, closed rose, half-open rose and an open rose. You can combine these four flowers into different patterns and designs. 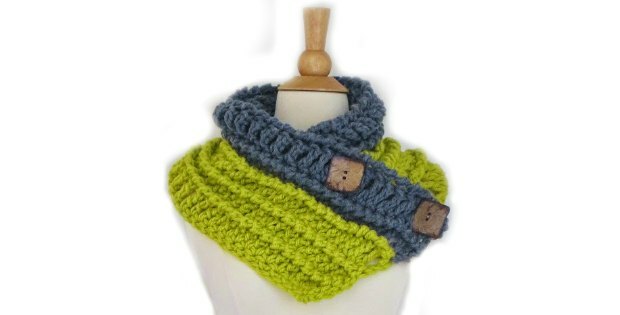 You can also insert them into other crotchet patterns to create even more amazing pieces. Each flower can also work by itself as hair flowers, brooches and Boutonnieres. 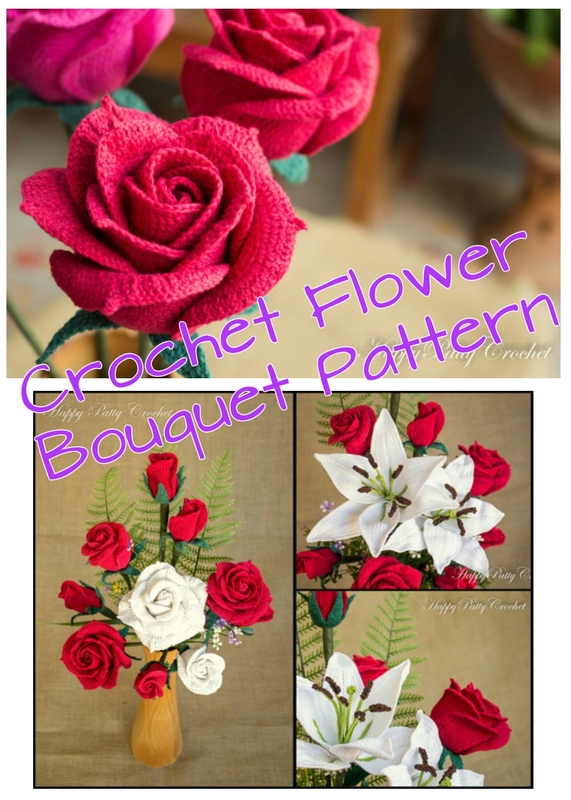 There is literally hundreds of applications of the crochet flower bouquet pattern. It is only limited by what you can imagine doing with it. Since the flowers are created as singular creations it is easy to incorporate them into other crotchet patterns to create even more stunning pieces. Take your lovers plain shirt and spruce it up with a nice crotchet flower bouquet pattern and every time he wears it he will think of you. Sow them into a blanket just for the two of you because nothing says romance like a rose covered bed. Create a bouquet and present it with a box of chocolates and you will take them to the moon and back. 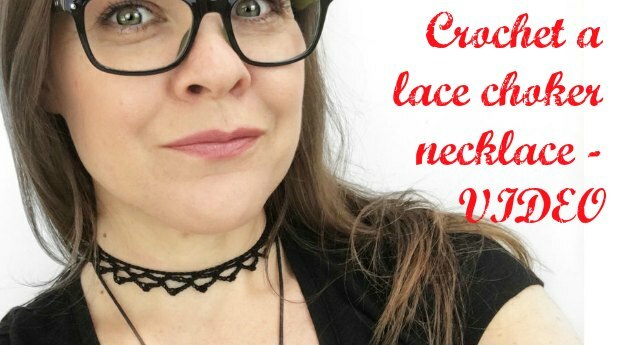 You don’t have to spend this valentine’s just put a little time into a bit of crocheting and you are bound to get lucky if you know what I mean. Wouldn’t it be nice to give something of the work of your hands this valentine’s rather than to just buy something from the store? 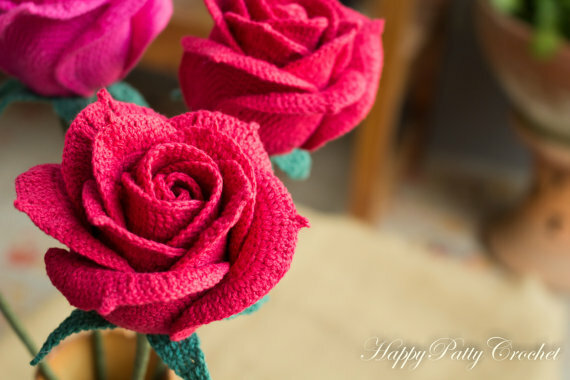 Nothing says “I love you” more than a bunch of roses, especially crocheted roses that will last forever or just as long as the yarn would. Valentines is not just a day to share with only your lover. But every single person that holds a place in your heart. Use the happy patty crotchet to create something for them. 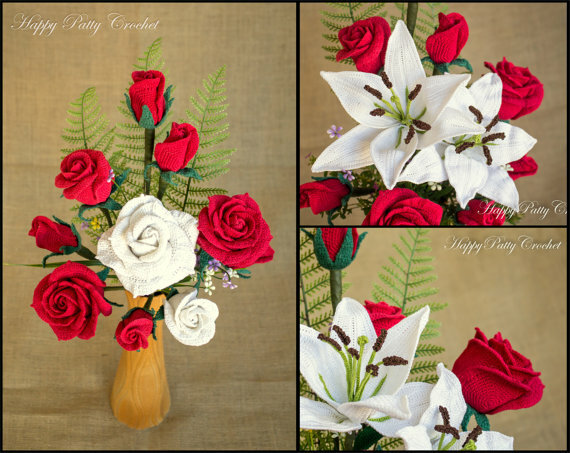 With the four different types of flowers at your disposal you can create a different design for each of your loved one. You can also try out different colored yarns to make your designs even more unique. Just as different colored roses pass on a different message so can your creations. 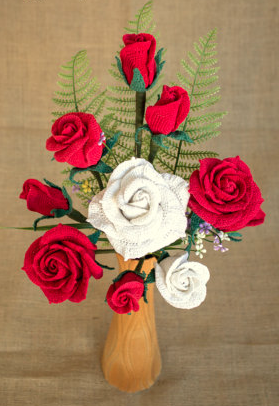 The crochet flower bouquet pattern can be a valentine’s gift for your friend, or for your sister or for that neighbor who makes living near them worth your while. Adding your own personal touch to the gift can make all the difference. It’s like crocheting a feeling into existence. So that you can let that special someone know how much you mean to them. To sum up the crochet flower bouquet pattern is more than just being able to spin yarn into beautiful bouquets. It is about feeling and imagination. It is about putting your time and effort into the creation of something beautiful, something that says three simple words; “I love you”. 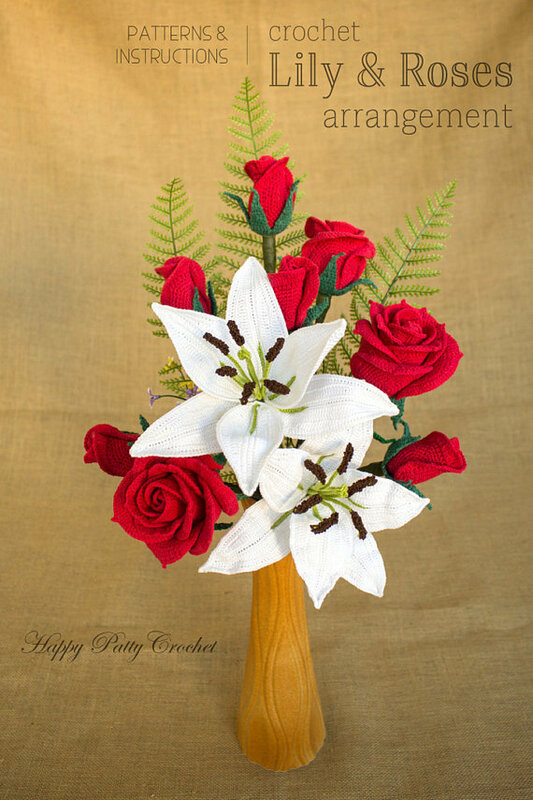 So try it this valentines and watch yarn roses and lilies light up the eyes of you’re the love of your life. Let them know how much they mean to you. Let them know that the currency of love is time and you are willing to pay it.